As Alzheimer’s Disease progresses, changes in the brain cause decline in short-term memory and a slowing down in learning ability. There is a general decrease in cognitive powers, which affect the individual’s memory, thinking, reasoning, judgment and behavior. These changes, which occur throughout the nervous system, often cause an individual to become confused. As a caregiver or loved one it is important to understand the behavior as well as how to handle the behavior problems with Alzheimer’s Disease. Recurring behavior is doing the same act over and over (e.g. folding a towel). How to handle this behavior– Allow the individual to continue the repetitive behavior or provide distraction such as taking the individual for a walk. Sexual behavior may involve the wrong person, at the wrong time, in the wrong place. Or it may involve inappropriate action (e.g. exposing themselves or masturbating in front of others). How to handle this behavior– Encourage affection with individual’s sexual partner. Lead individual to a private area when behavior is inappropriate. Screaming occurs in an attempt to communicate. It can involve screaming a name, a word or simply making yelling sounds. How to handle this behavior Provide a calm and quiet environment. Consult a physician to determine if there are vision or hearing problems. Aggression and combativeness often occur because of restlessness or agitation (e.g. hitting, punching, biting). How to handle this behavior- Do not argue with the individual, remain calm and collected, and be sure to protect your own safety. An agitated individual may walk back and forth, hit or yell. How to handle this behavior Determine why the individual is agitated (e.g. Hungry? In pain? Insufficient sleep?). Maintain a calm and quiet environment. Disastrous responses are extreme responses, with the individual reacting as if a major disaster has occurred. How to handle this behavior– Reassure individuals that you will protect them from harm. Don’t argue with them, as they do not understand what you are saying. Sundowning is the appearance of confusion, agitation, and other severely disruptive behavior coupled with inability to remain asleep. It occurs in the late afternoon & evening hours. How to handle this behavior– Make sure their basic needs are looked after (e.g. hunger, toileting, warmth). Provide a calm setting at the end of the day. Keep a light on, as many individuals with Alzheimer’s Disease may be afraid of the dark. Since Alzheimer’s Disease causes the individual to be disoriented in respect to person, place or time, they may become lost or use poor judgment, which compromises their safety. How to handle this behavior– Ensure individuals are not able to wander off by securing safety locks at tops or bottoms of doors & windows. Keep their environment free from hazards. 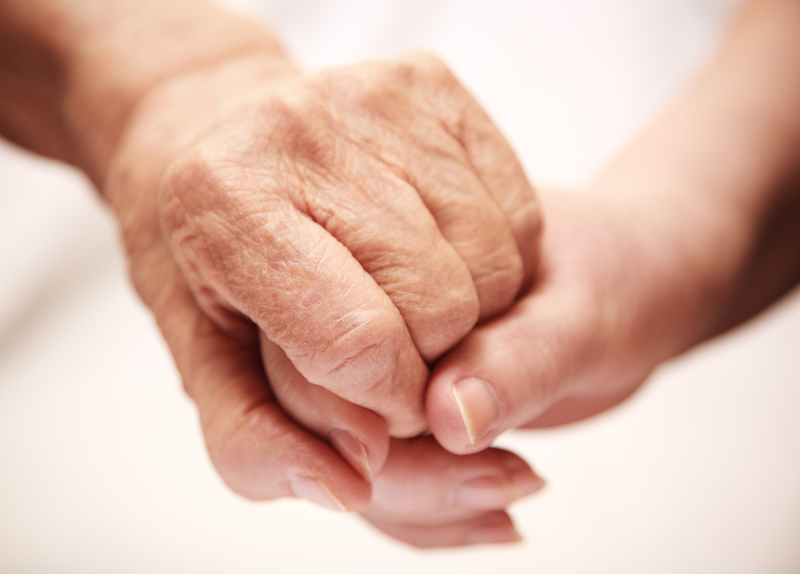 If you or your loved needs additional information or needs care please contact us.